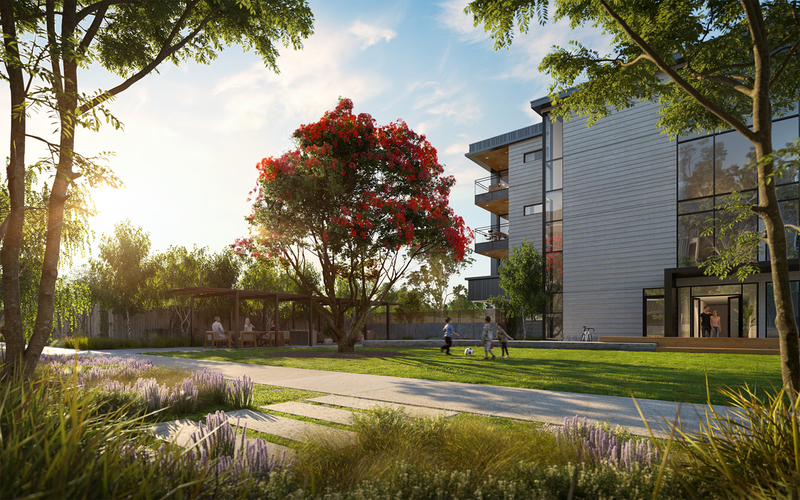 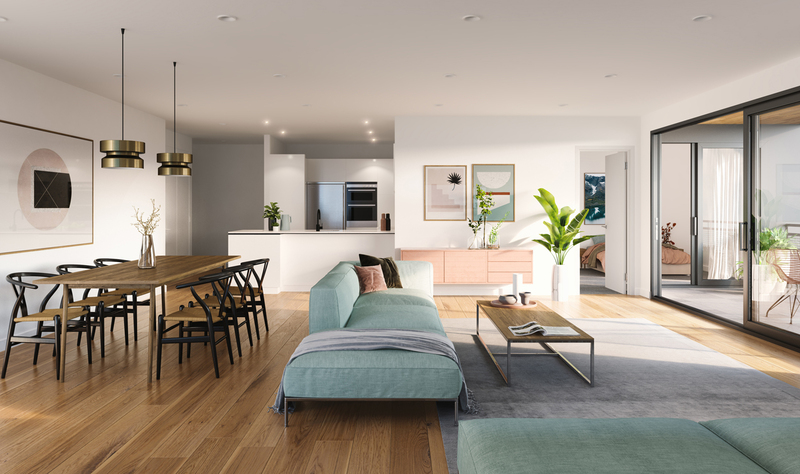 A re-imagining of a former industrial site, the development features 239 new apartments spread over five separate buildings all linked via a landscape podium. 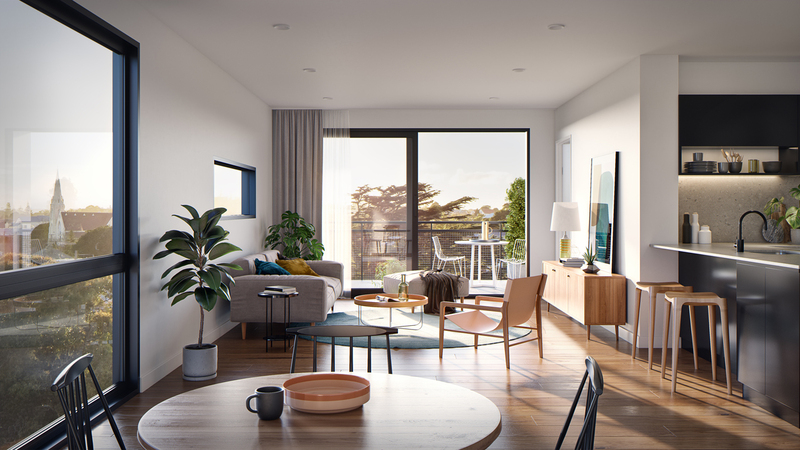 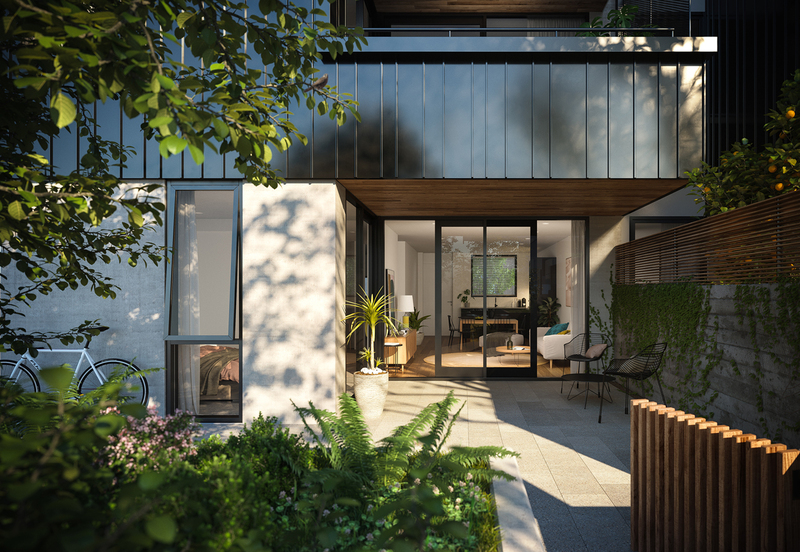 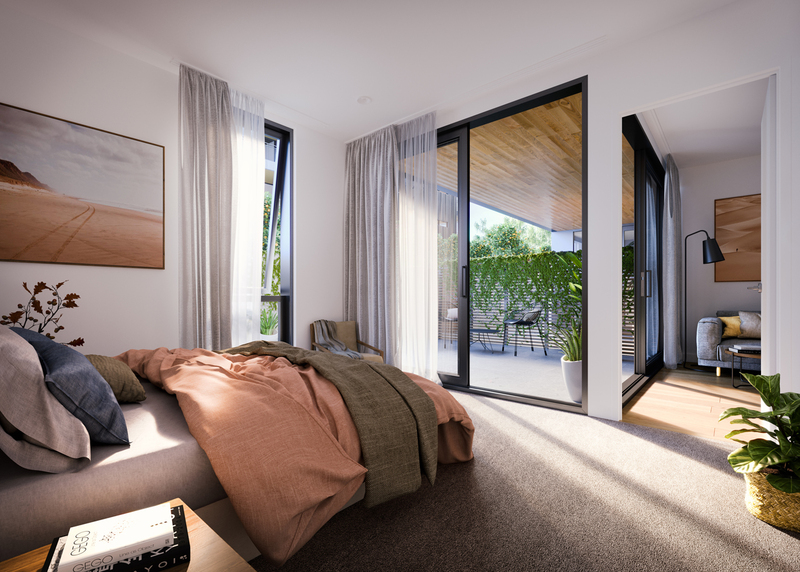 Ashton Mitchell worked closely with developers Lamont & Co to create a new ‘pocket neighbourhood’ with a strong architectural identity and sense of place. 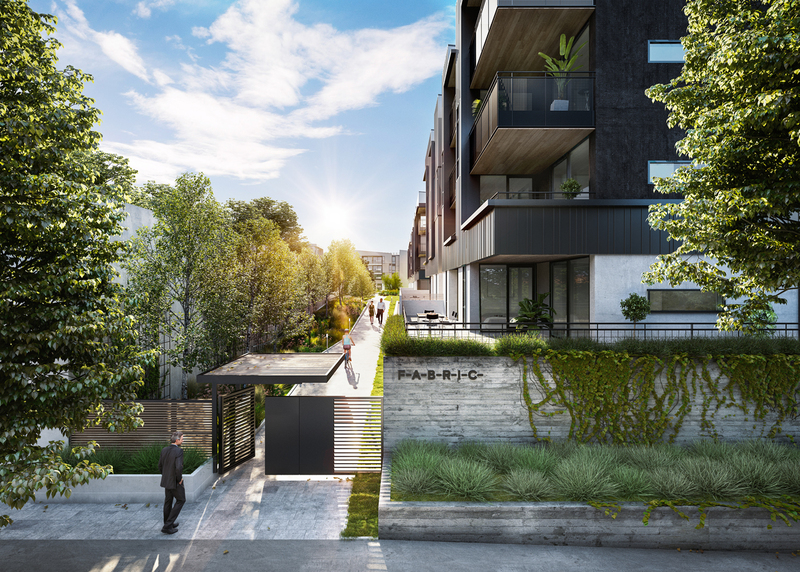 The development is focused on a large common green space, with all buildings connected underground via basement car-parking. 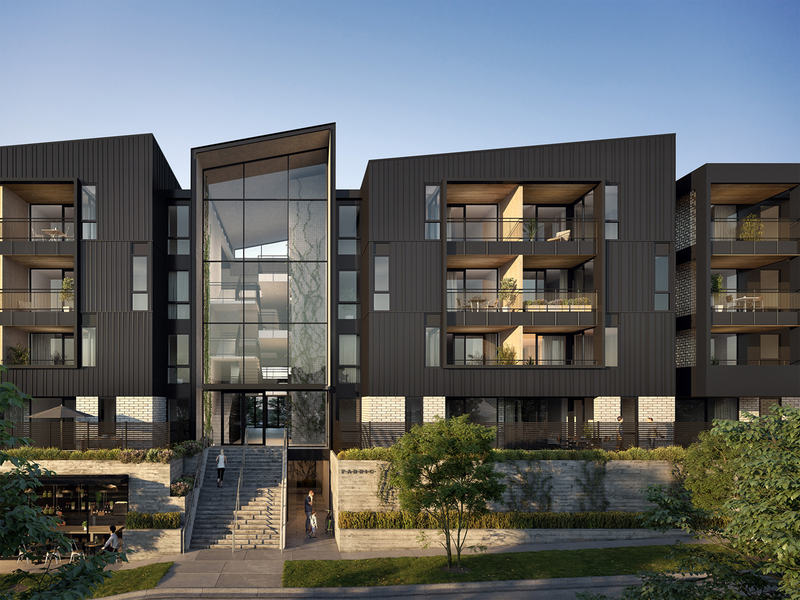 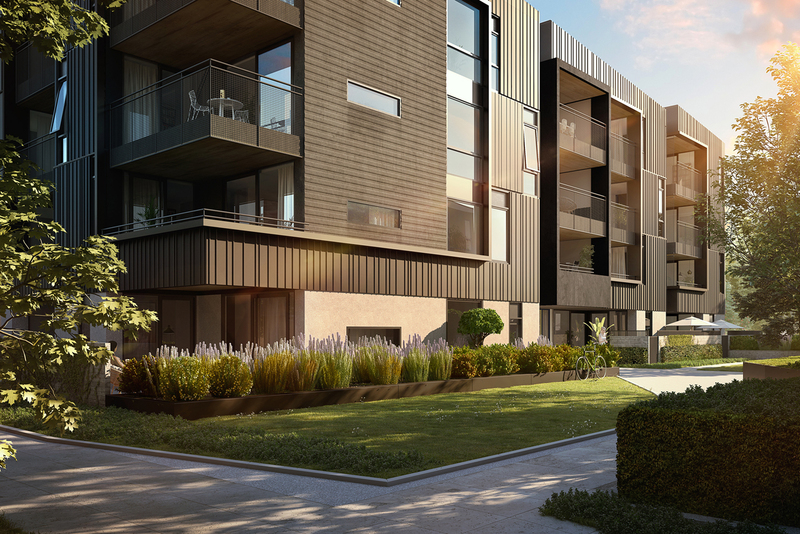 The sites heritage and its location between Onehunga’s industrial and residential areas has been referenced through the industrial saw-tooth roof forms and materials such as steel and concrete, which are softened with timber accents and landscaping.